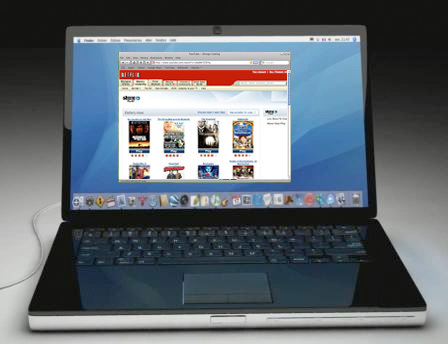 Mac Users To Get Streaming Netflix Movies Before The Year Is Out | OhGizmo! I’ve been a Netflix subscriber for around a year now, which means I watch a lot of movies. When they started letting me watch streaming movies for free, even more of my time was spent watching movies. That is until I switched over to a Mac. See, the Netflix player has this one tiny requirement, which is that you have to use it inside of Internet Explorer. That’s bad enough on a Windows machine (Firefox all the way! ), but damn near impossible on a Mac (unless you happen to also be running Windows inside of it). Well it seems that the guys over at Netflix have heard the cries of the Mac-loving community, and are hard at work on making their software compatible with Apple’s OS. According to a recent announcement, you will be able to stream movies to your Mac by the year’s end. What the hell kinda mac is that?